A lawn of the future requires no mowing, weeding or watering. It reduces greenhouse gas emissions and conserves water, a very precious resource. Everlast Turf Sequoia synthetic grass is a perfect way to save time, water and money while conserving the environment one step at a time! Sequoia is a one-of-a-kind artificial turf that features field and olive green grass blade color tones with a brown thatch layer in an 75 ounce face weight. Each grass blade is triple reinforced into a durable perforated backing through tuft bind technology, which makes this turf extremely resistant to pull force! 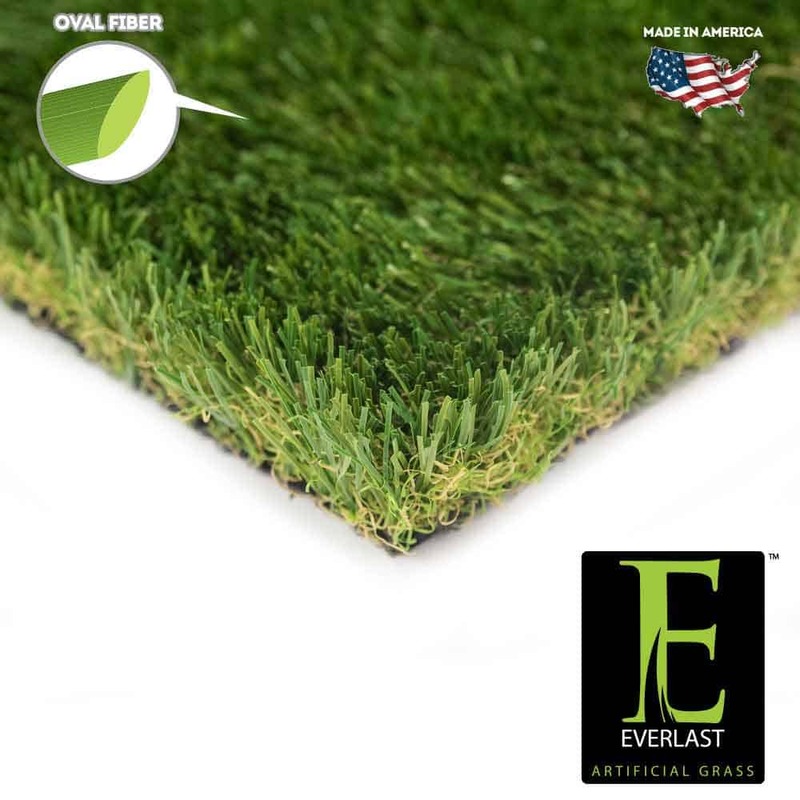 The oval grass blade shape provides a soft pliable feel as well as a realistic appearance, which makes this synthetic turf ideal for children and pets! Sequoia synthetic turf’s perforated backing makes cleanup an easy simple task where any liquid will drain through! Each blade contains a U.V. resistant technology so Sequoia synthetic grass will stay green and plush even in the most harsh environments! Insured to last for years to come through our 15 year warranty, Sequoia synthetic turf is the perfect landscape that will save you time, water and money! Help preserve and improve the environment through water conservation with Sequoia synthetic grass!